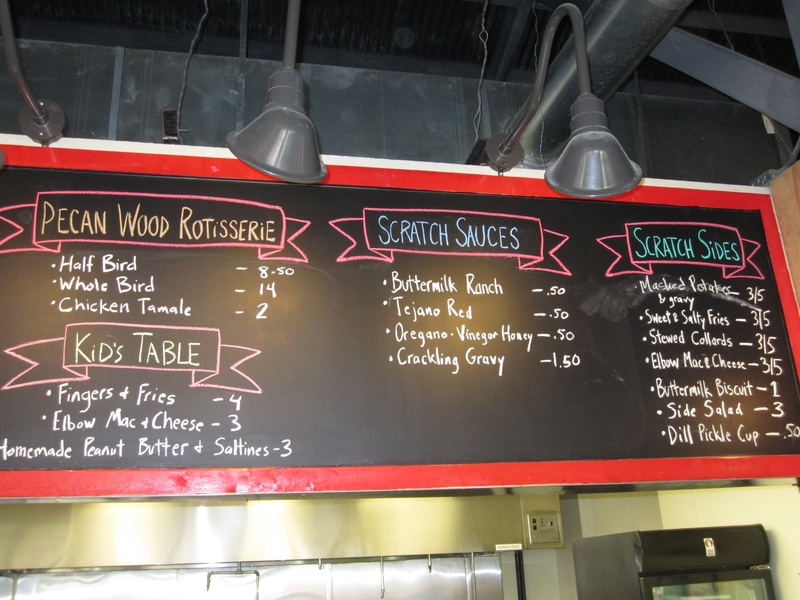 Chicken Scratch: It’s Not Just a Restaurant, It’s a Destination | Who's Cooking for Kacey? It’s different and original and the concept is from the same man (Tim Byres) that brought us the wonderful Smoke. I’m not just a little bit of a fan…I’m a HUGE fan of this guy’s work and what he stands for. Anyone that is trying to bring wholesome, local, garden fare and all natural, hormone-free meats to the masses is a hero in my book. 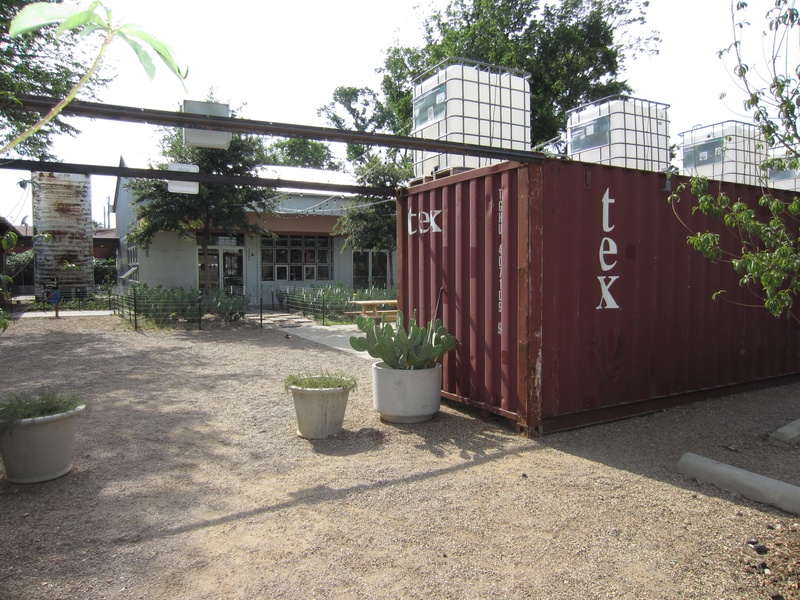 Top it off with working towards having a 100% compostable restaurant, well that’s just a smart business plan when you’ve got a garden right next to you that will benefit from the nutrients anyways. Byres is truly an innovative leader in the restaurant industry. 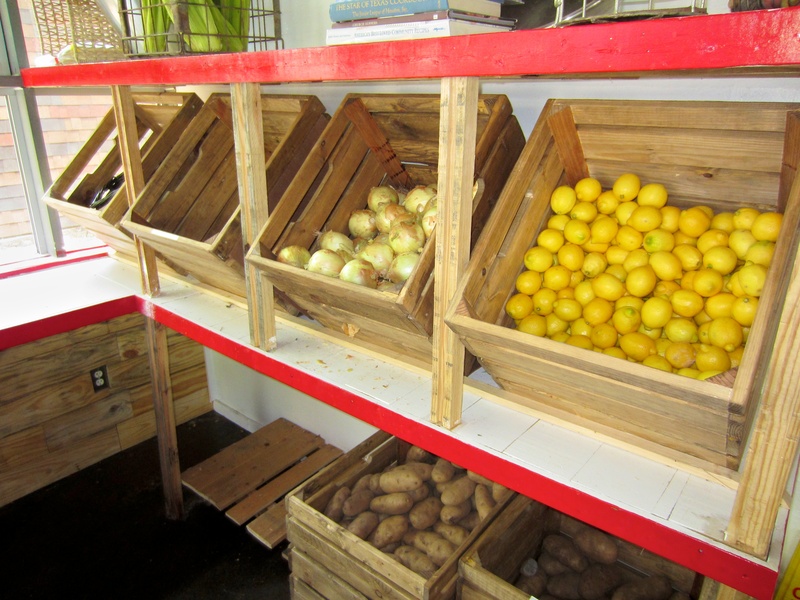 Now how often do you see this fresh display at the restaurants you frequent? When I found out that Joel Skipper had recently signed on as the Sous Chef at Chicken Scratch, I couldn’t quite put my finger on who was luckier….Byres for gaining such a wonderfully talented up and coming chef, or Joel for getting to be a part of Byres’ new vision. But then I thought about it for awhile, let’s be honest. We are the true lucky ones because we get to enjoy the fruits of their labor! 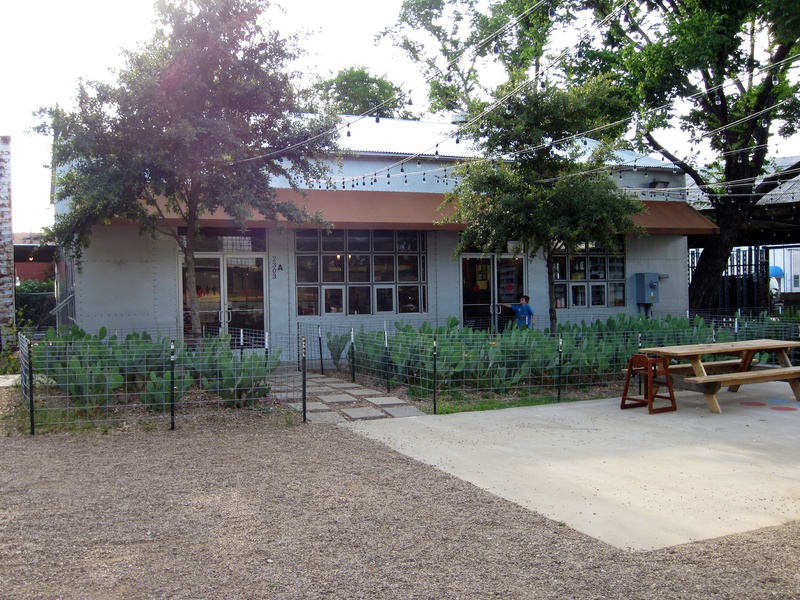 Chicken Scratch is not your typical eat and run restaurant; it is a true destination…the main event… and a place worthy of bringing your friends, pets, family, and whomever else piles into your car when you mention you’re heading out for some of the best chicken in Dallas. You will probably drive by the place on Pittman St. on your first attempt. From the road, it looks like a curious establishment, but one you most likely will end up making a U-turn to find. Once you park and walk around to the courtyard, with the garden to the left and cacti to the right, you know you’re entering something special. 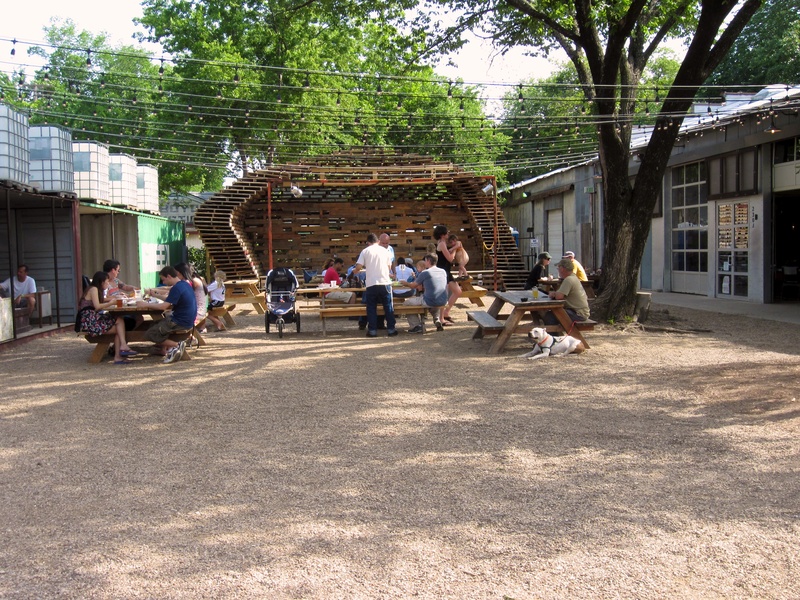 There are picnic tables and a large stage set next to The Foundry (a great bar hang out), bean bag toss, booths set inside rail cars, and generally enough space to feel like you’ve rented your own piece of the place all to yourself. Courtyard that Chicken Scratch and The Foundry share. 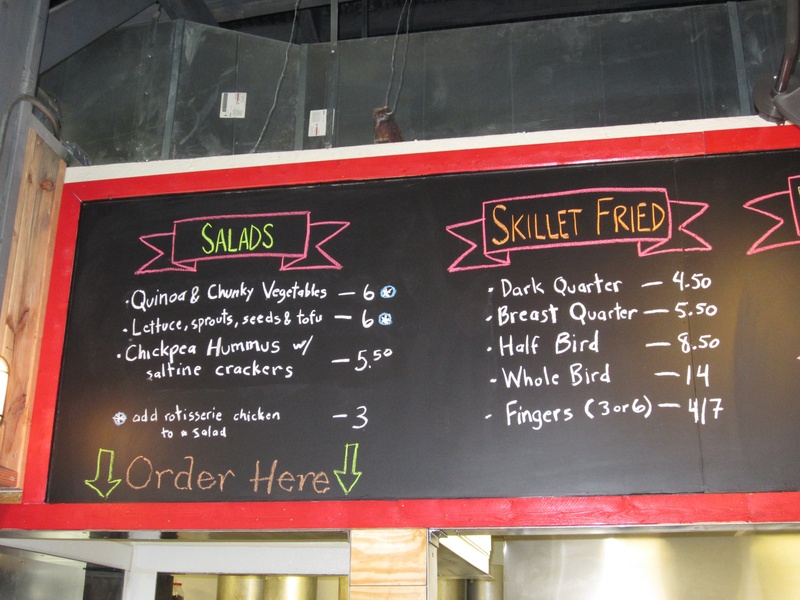 Chicken Scratch serves up lunch from 11:00-2:00pm and dinner from 4:00-10:00pm daily. At 4:30 on Sunday, I chose to eat inside and was promptly greeted by Joel Skipper, the Sous Chef, who gave Danny and I a personal tour of the property and happily answered all of our questions. 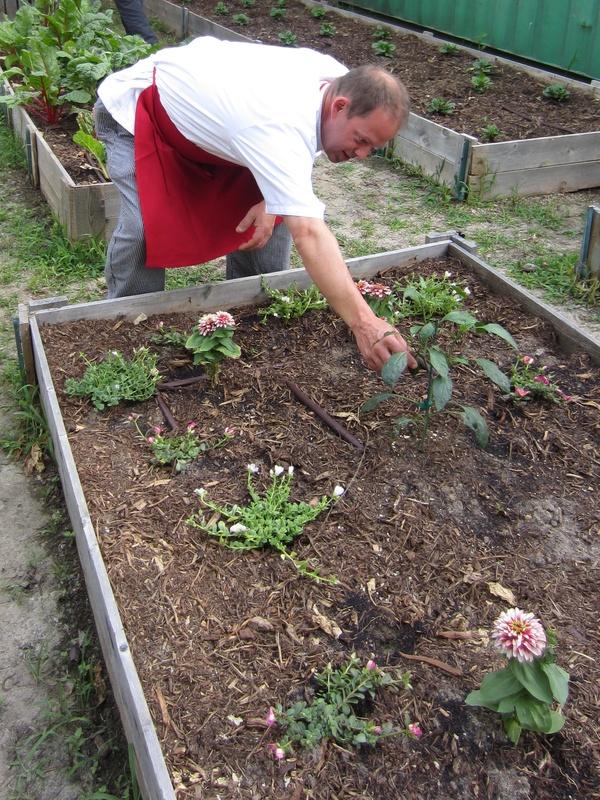 Knowing a thing or two about garden is an essential skill for chefs at Chicken Scratch. He was smart to save the tour to the end so I could spend most of the time gushing about how amazing the food was and how I’ve never tasted chicken so sweet. One of the things Joel really likes about his job is feeding people good food, and boy does he! 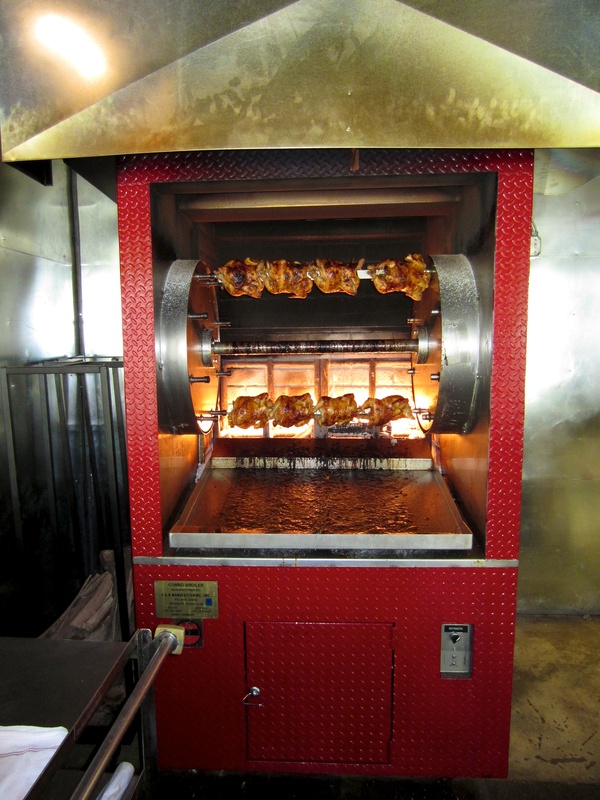 From rotisserie to fried, the chicken was some of the best I’ve ever tasted. 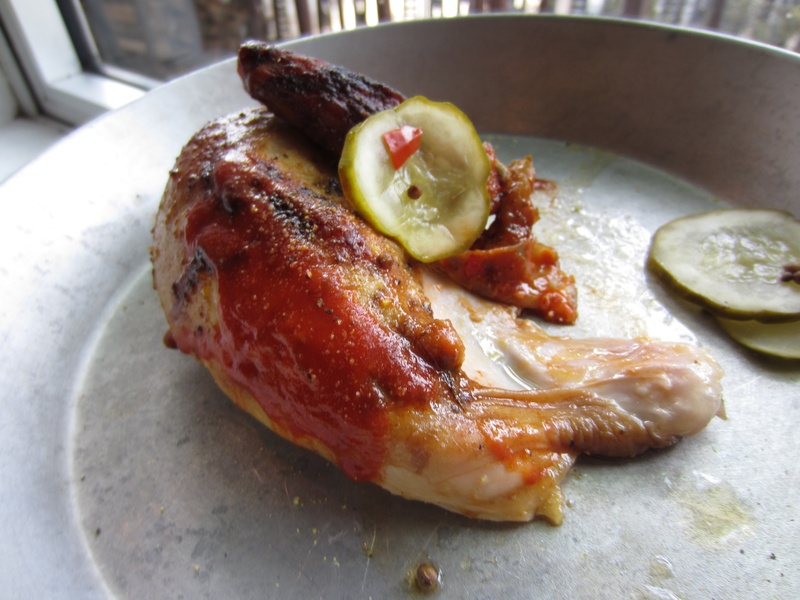 He mentioned it has to do with Tim Byres’ philosophy of using hormone-free meat and that the fresh-from-the-farm chicken hits the special brine as soon as it makes it through the doors of the restaurant. 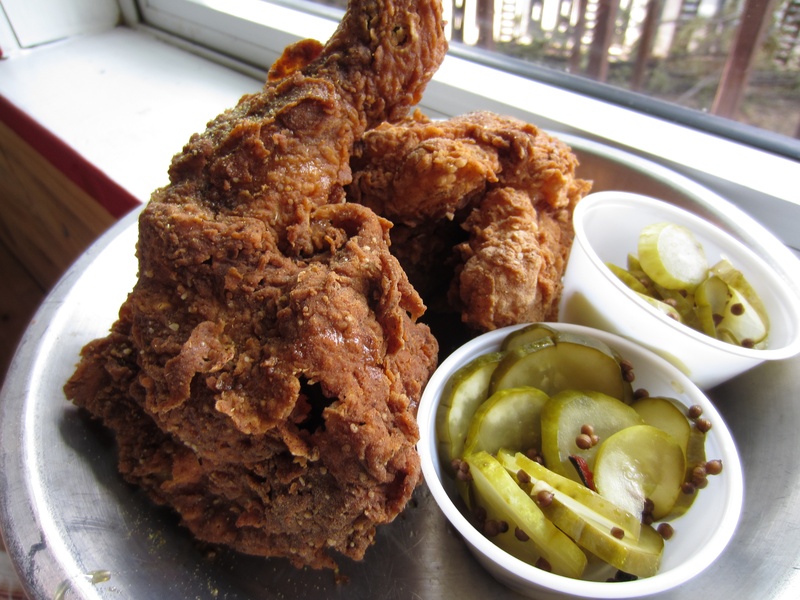 Amazing fried chicken! Special red sauce is basted on the bird. And yes, my glasses make their first debut (stupid eye/contact issue). I cannot stress it enough, but holy crap this chicken is good! Chicken is one of those things that I’m picky about as I like to know that the meat I’m eating grew up on a farm with a chance to see the sun and spread their wings. 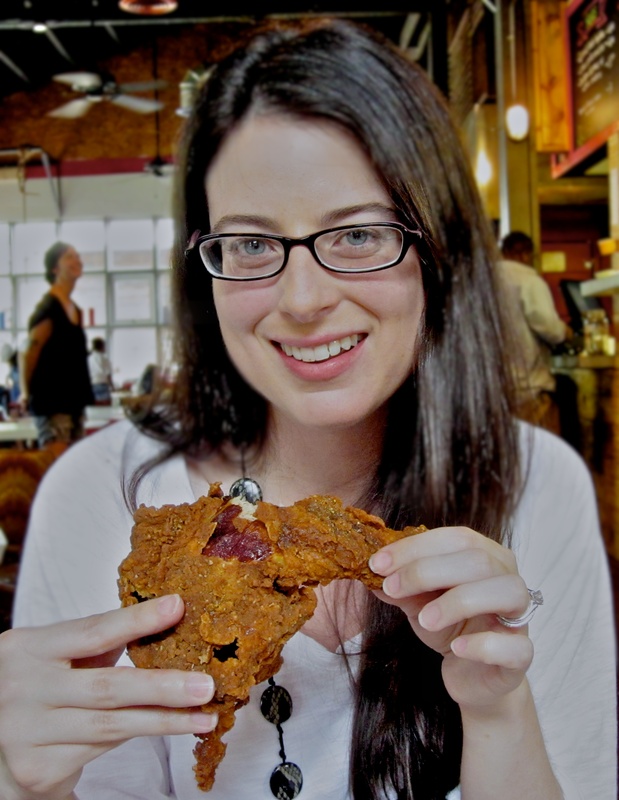 After just one bite you know…these chickens were loved. 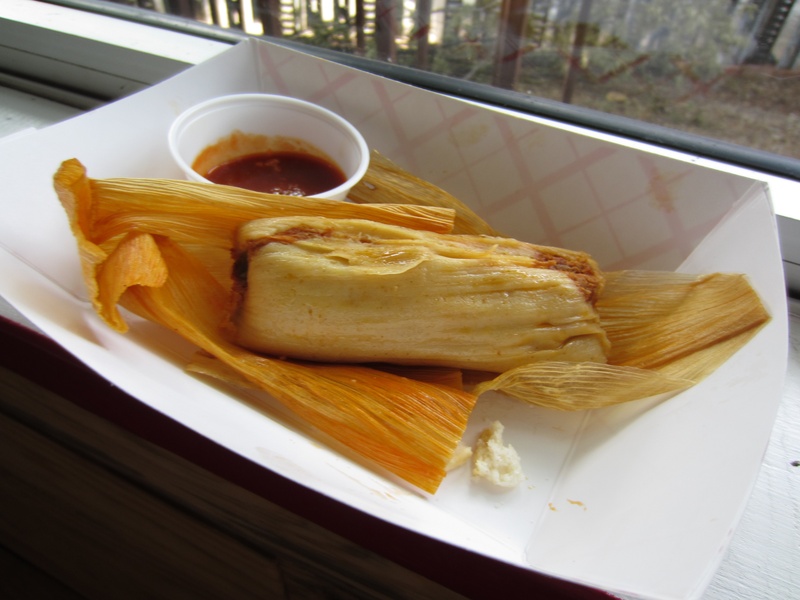 I cannot forget to mention the wonder that are the homemade-fresh-daily chicken tamales! My husband, Danny, is quite the tamale connoisseur and he was very impressed at how much chicken was packed into this thing. It was the size of a burrito. I, for one, was excited that I was actually able to eat a tamale without fear (tamales have a tendency to be made with scary, unidentified meats). Not this plump little guy. One bite and it was no wonder that Texas Monthly recently came out to take pictures of these babies. 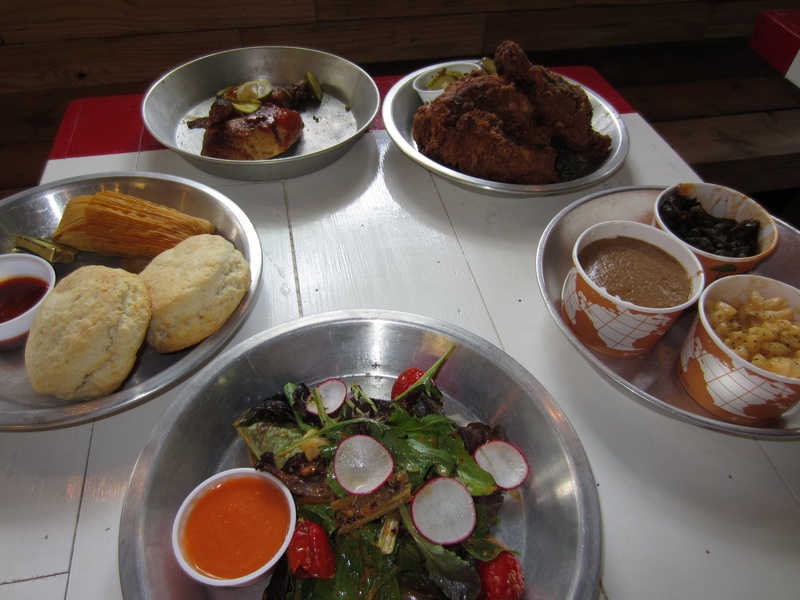 Come for the chicken, but try all the sides. 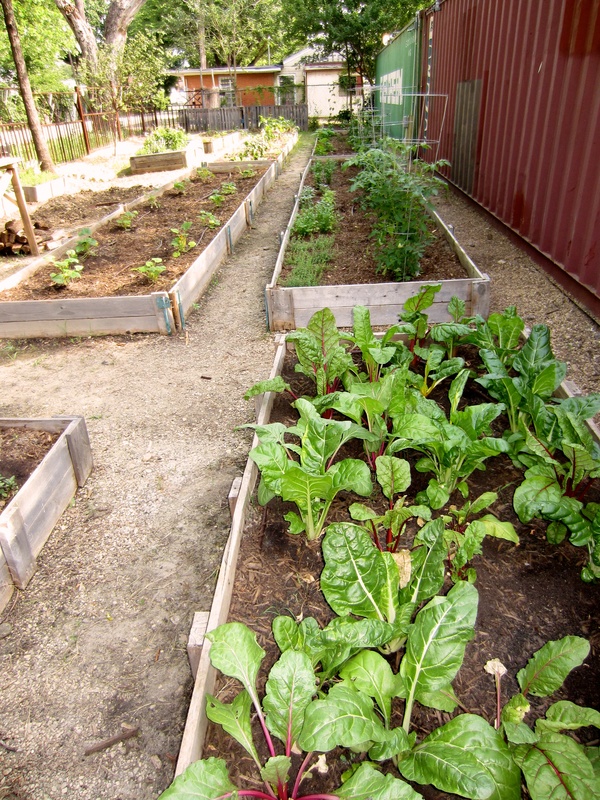 Anytime you see a garden next to a restaurant, that’s a dead give away that they care about good side dishes (oh sides, my true love after dessert). 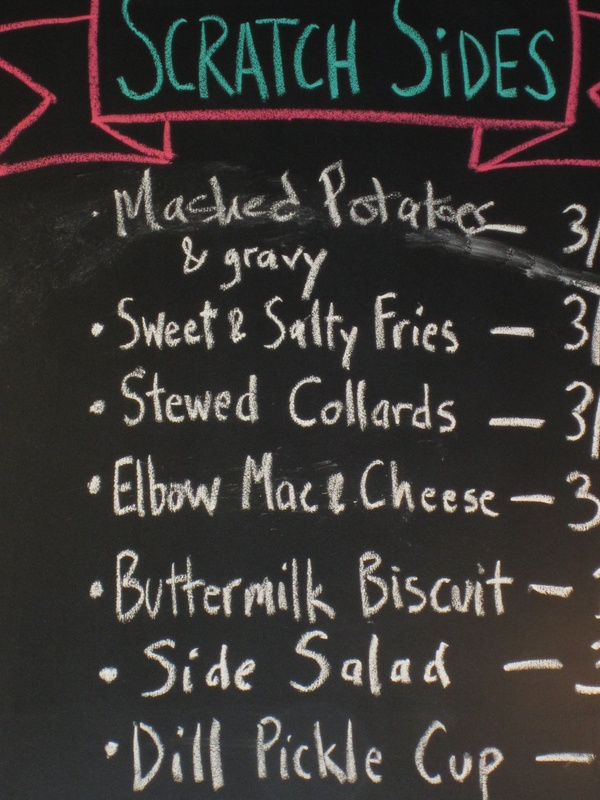 Chicken Scratch cooks up collard greens, mac ‘n’ cheese, mashed potatoes, and fries like nobody’s business. 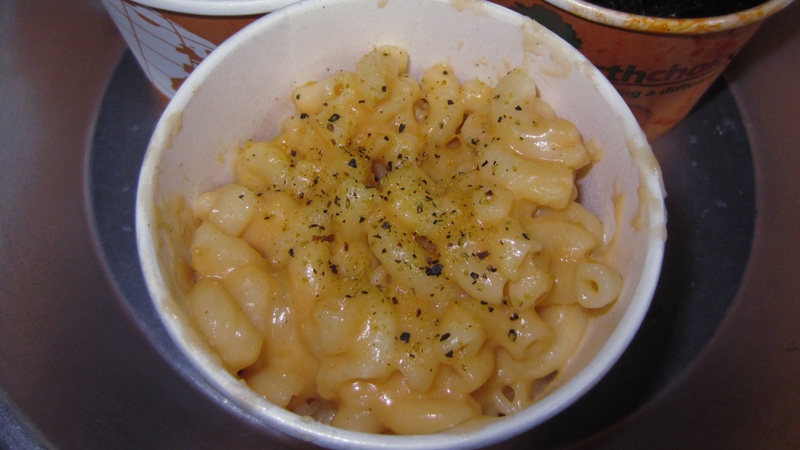 I seriously think their elbow mac ‘n cheese will be in the running for The Dallas Observer’s Best of for 2012. Real cheesy goodness. 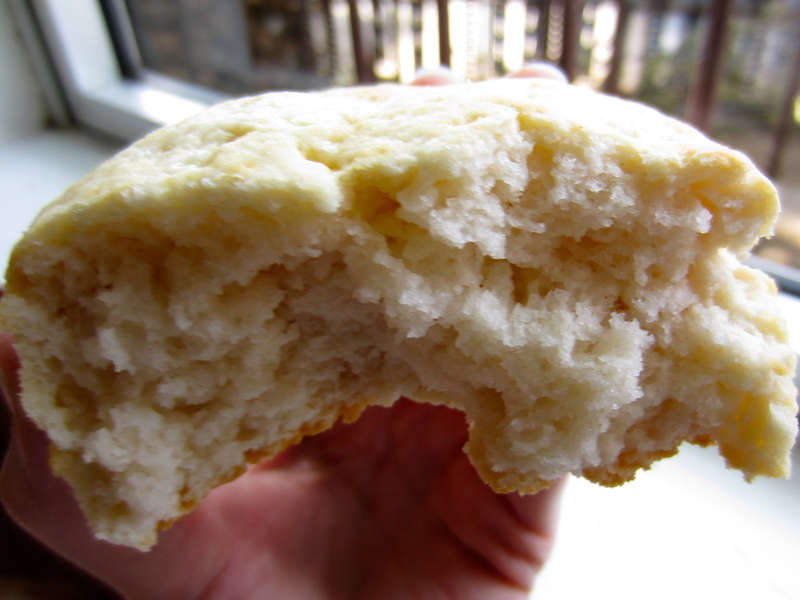 They should also be on the radar for best biscuits, because this is the best biscuit you will ever have for $1. Hey, they could tack on a $3-4 price tag on one of these things, throw in some local honey, and serve them up as dessert with how sweet and texturally amazing they are. I saved one for breakfast the next day and Danny thought about just letting me have it all to myself, but after he watched me take a bite…he grabbed a knife and halved that sucker. So close. I’m a little sad I forgot to try their Paletas (popsicles). It’s their only dessert on the menu, which is typically a good thing and means that the one-and-only dessert is of headliner caliber. Joel mentioned that these are a Chicken Scratch recipe made with chunks of real fruit and water. I saw a child blissfully nibbling away on one of these until she dumped herself out of her chair. No worries though, she was fine and obviously she valued her delicious popsicle because she was careful to make it stay upright the entire time and didn’t lose a single bite. It is the perfect choice in light dessert after a meal of comfort foods. It’s very hard to say that you don’t have room left over for a little fruit and water. Should be a sure-sell every time. Genius. This place is so new I feel like I’m in on a secret. 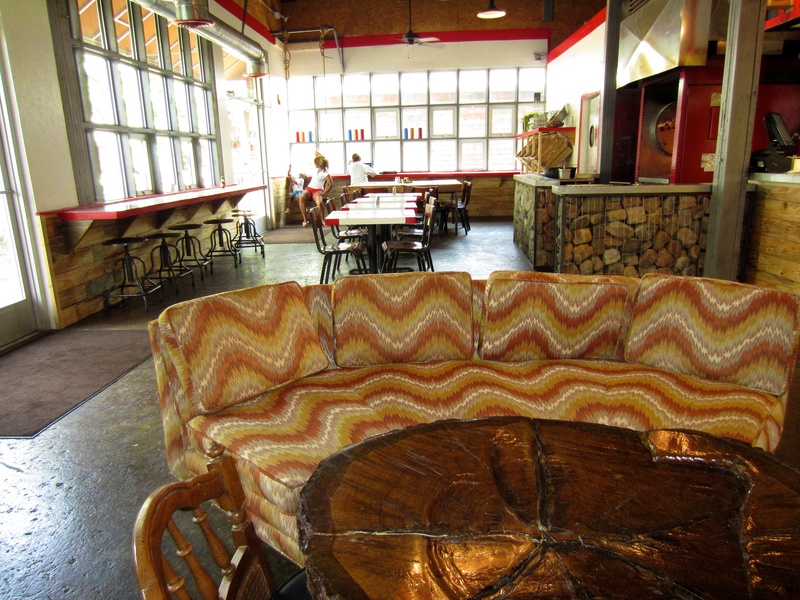 Before 2 months have passed since the doors open, before the menu even makes it to the website, and before this place becomes so wildly popular you need to bring your own picnic blanket just to have a place to sit, you should rush on over to Chicken Scratch and be a part of something special. So sure bring the kids (there’s an outdoor area, even the screamers are welcome), leash up the dog, and come and let Joel do the cooking for your next picnic. 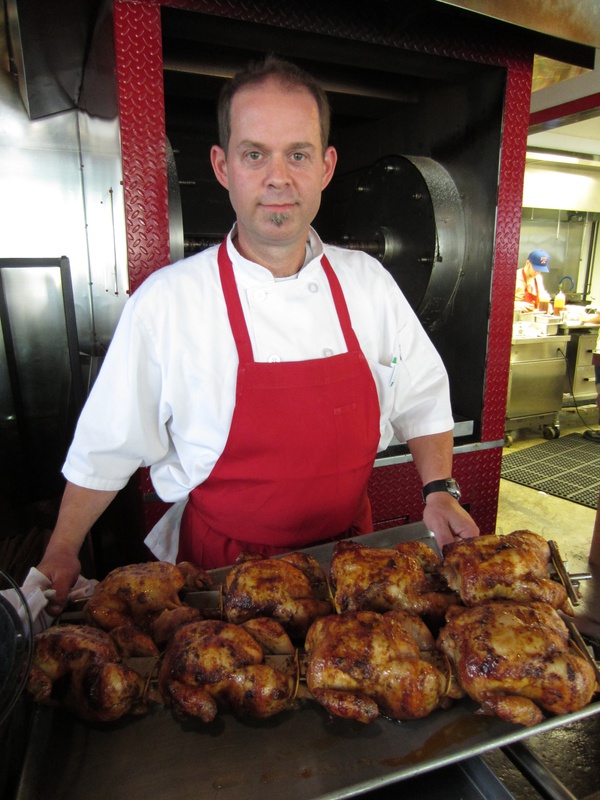 *Special thanks to Joel Skipper, Sous Chef at Chicken Scratch, for the interview. Can’t wait to try this place! And I want Paletas! Nancy, you and Danny both. He is a devoted Popsicle lover. Let us know when you’re headed that way…we’d be happy to join!